The Mordovia Arena built in Saransk for the 2018 FIFA World Cup Russia involves unique geometry and a large number of welded joints in a short timeline. 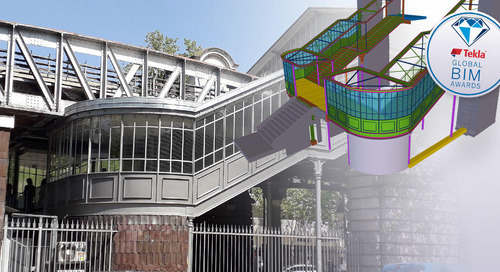 Local steel fabricator Belenergomash delivered the challenging project right on time with the help of Tekla BIM software. The stadium designed for 45,000 spectators is to be completed by the end of 2017. It will be one of the 12 stadiums hosting the 2018 FIFA World Cup Russia. According to the architects’ idea, its bowl resembles a bright red sun – one of the symbols of the Republic of Mordovia. 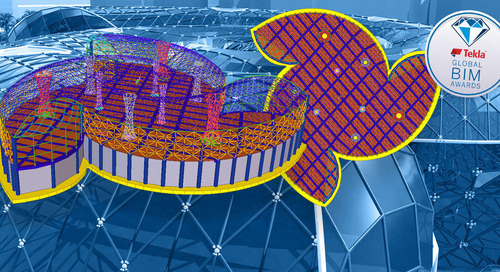 LLC Belenergomash-BZEM used innovative production, diagnostic and control technologies, including the Tekla Structures software, to help design, fabricate and deliver the stadium’s challenging steel structures on time for the construction project. The location of the bowl above a two-story stylobate creates an effect of lightness. The base of the stadium consists of 88 G-shaped consoles of 40 meters in height, and the outreach of the structure is 49 meters. All of the consoles are made of steel pipes, thanks to which the overall weight of the coating structures is only about 6000 tons. 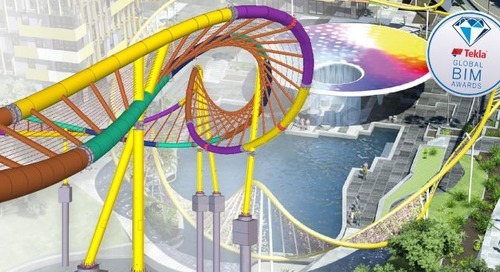 During the initial development of the design documentation, the project was finalized in the course of six months by the general contractor together with the specialists of Belenergomash for Kazan Industrial and Construction Association LLC. Belenergomash fabricates the stadium’s complex metal structures with an accuracy of 10 mm up to 60 m plus a large number of welded joints. The project schedule did not allow any delays, and the stadium structure was completed on schedule: Fabricator shipped all steel structures by March 31, 2017 – almost exactly one year after signing the contract with LLC "PSO" Kazan. 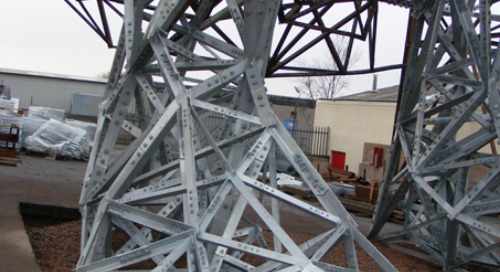 Belenergomash has been engaged in the design and manufacture of metal structures since 1973. 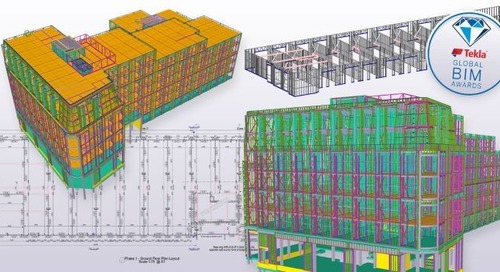 The company uses innovative production, diagnostic and control technologies, including Tekla Structures software that has been used in the enterprise since 2008 as an important tool of the design department. The choice of software can play a decisive role in the successful implementation of a project. 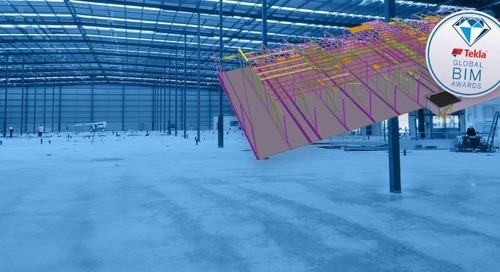 According to Dodge Data & Analytics *, correctly selected software tools can reduce the final cost of a building project by 5% and lead to reduced completion time. At the same time, the productivity of work is increased by 25%. When constructing sports facilities, maximum accuracy is important at all stages, from the architectural to the construction site. 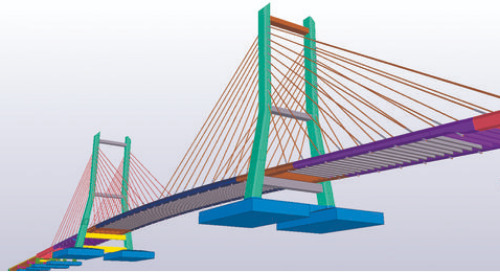 Software with a high LOD (Level of Development) helps design the required elements with the highest level of details (LOD 500) in the model.